Providing anterior and posterior motion restriction, the Horizon 631 LSO is the perfect blend of comfort and support. 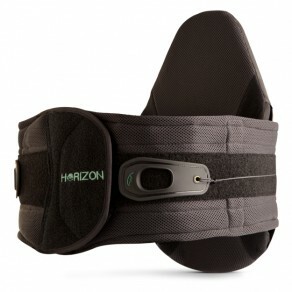 Designed for acute and chronic low back pain, the Horizon 631 provides compression for patients recovering from surgery or injury. Its low profile design can be comfortably worn underneath clothing. It is one-size adjustable and comfortably fits waists from 24-70 inches.